The village of Barry was developed in the second half of the 1800's with stores, a school (established in 1862), church, blacksmith, hall, carrier and homes for agricultural workers. Today, all of Barry's public buildings, including St. James Anglican Church and the Barry Public School have closed. The Post Office and both stores are now private homes, as is the school residence and the former St Therese, Catholic Church. Some of the streets of Barry are named after clergy or bishops (Barber, Marsden, Hale, Moorhouse, Pearson, Sawyer, Selwyn, Staunton and Turner). Blayney is a farming town, commercial and administrative centre located in the Central West region of New South Wales. 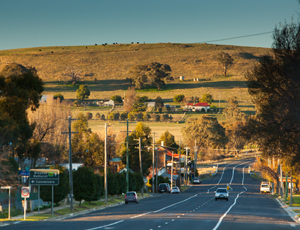 With a population of about 3,000, Blayney is situated on the Mid-Western Highway about 3 1/2 hours (240 km) west of Sydney, 30 minutes (35 km) west of Bathurst, 45 minutes south east of Orange and 863 m above sea-level. 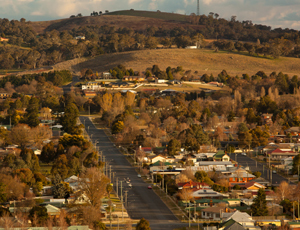 Blayney is the seat of Blayney Shire Council. 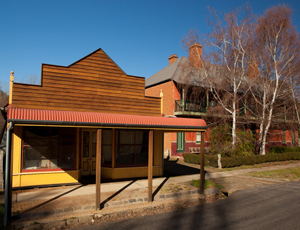 The historic village of Carcoar is nestled in a small sheltered valley beside the meandering Belubula River. 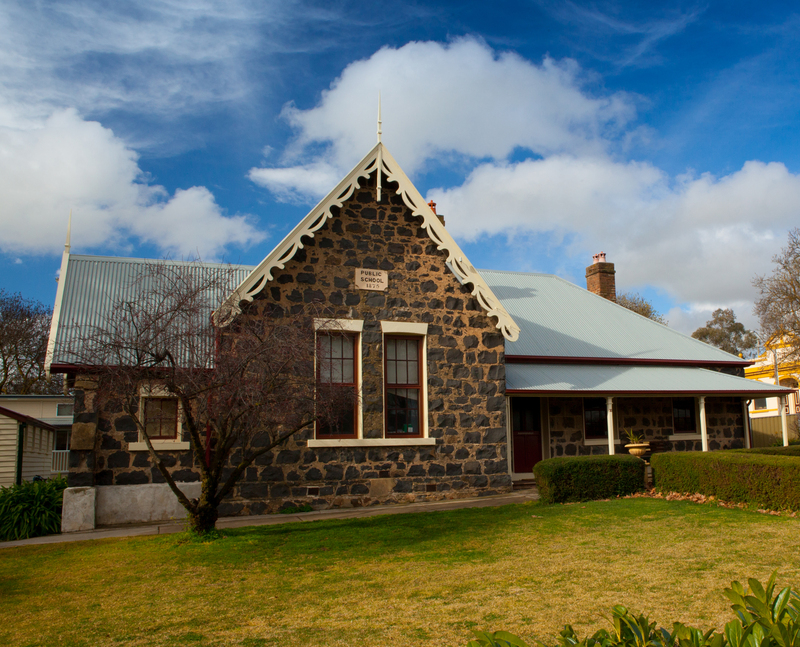 Gazetted in 1839 and classified by the National Trust it is the third oldest settlement west of the Blue Mountains and has a picture book quality reminiscent of old England. Today, it is difficult to imagine that Lyndhurst was once on a short-list of sites for the national capital, however, owing to the changing nature of the mining industry, the town has undergone many changes over the years. As the closest centre to the rich Lyndhurst Goldfields, also now known as the Junction Reefs mining area, the town prospered. 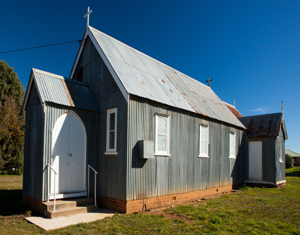 Mandurama began in the mid 1800's as a private settlement for the nearby and large Icely family property, with workers on the property establishing their homes. 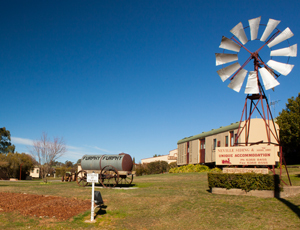 The town has become a service centre for the surrounding and rich agricultural area which boasts some of the finest properties in the Central West. Millthorpe Village boasts award winning restaurants, arts and antiques, a museum, boutique shops, hotels, wine tasting and accommodation enhancing its charm, sophistication and eclectic style. Located in Central NSW, Millthorpe Village is in the heart of a dynamic food and cool climate wine region, a centre for truffle production, and home to a vibrant community of local artists with a diverse range of talented people living and working in the village. 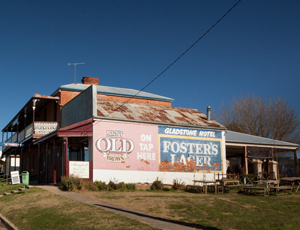 Tucked away in a quiet corner of Blayney Shire, away from the highway traffic but retaining a proud sense of heritage and community spirit is Neville. Neville today boasts a population of about 100, who all care a great deal about their town and its facilities. 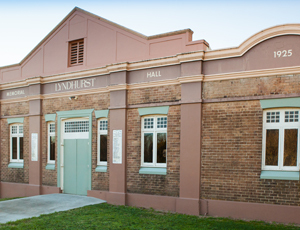 There is enthusiastic interest in a range of pursuits including sport, the rural bushfire brigade, church, the Public School and other projects like the Memorial Park and Community Hall. Although there were a number of fine properties established in the area, including Sunnybank, the town of Newbridge resulted from the arrival of the railway and construction of the station in 1876. The name may have come about due to the construction of the road overhead bridge, but could also be traced to the town of Newbridge in Ireland, which backed the strong Irish presence in the town at the time. The importance of the railway has always been the emphases by the townsfolk, with Newbridge winning a number of awards for one of the best presented stations in the State.